Please join us next Tuesday for REAL Talk. 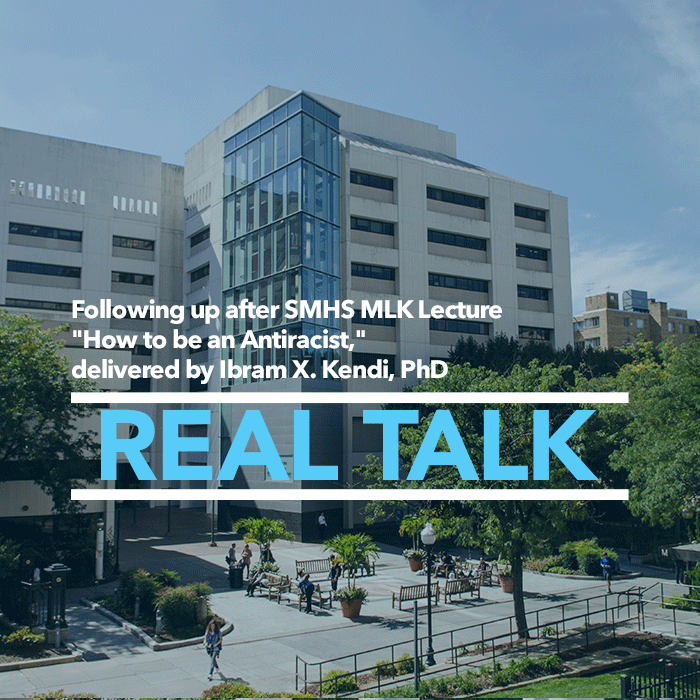 We will follow up on this year's SMHS MLK Lecture "How to be an Antiracist," delivered by Ibram X. Kendi, PhD. If you missed the talk, you can listen to the audio recording--although it is not necessary to join the discussion (MLK Lecture, password: "SMHSODI"). We will also discuss the racist photos in Virginia Governor Ralph Northam's medical school yearbook and their connection to racism in medicine, power, and healing. Please bring your lunch; snacks provided.